An exhibition curated by design critic and writer Rick Poynor, exploring poster design from 1963 to the present. 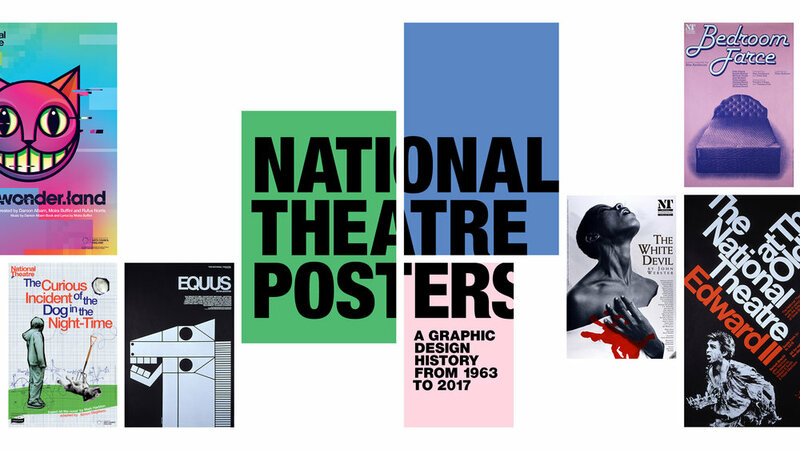 Curated by Rick Poynor, Professor of Design and Visual Culture at the University of Reading, this exhibition explores the evolution of poster design at the National Theatre, showcasing many classic examples. From 1963 to the present day, each art director led the theatre’s graphic design studio in creating images for posters, programmes and now digital artwork. The exhibition features posters designed by Ken Briggs, Richard Bird, Michael Mayhew, Charlotte Wilkinson and current Creative Director Ollie Winser and the Graphic Design team. The exhibition will include original posters, interviews with past and current Art or Creative Directors and will trace the changes in process, design and function over the past 50 years.An accompanying book National Theatre Posters: A Design History published by Unit Editions is available at an exclusive price of £25 (RRP£35) from the National Theatre Bookshop and online. Bespoke art prints of National Theatre posters are available to order online, posting worldwide. A walk around the current exhibition with curator Rick Poynor, please meet in the Wolfson Gallery. Talk: Where is the Poster Now? A talk on the art of poster design by Rick Poynor, design critic and Professor of Design and Visual Culture at the University of Reading, featuring his research for the exhibition currently running in the Wolfson Gallery, National Theatre. An exploration of the working design process by the Graphic Design Studio (GDS) at the National Theatre with Creative Director, Ollie Winser and members of his design team focussing on real campaigns for recent NT productions. Gary Hustwit's brilliantly designed feature-length documentary, Helvetica, explores typography. The film features contributions from National Theatre Posters exhibition curator, Rick Poynor.